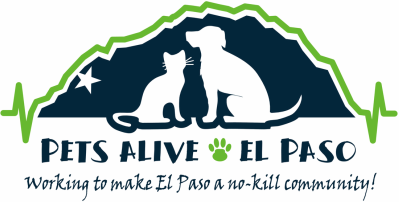 PLEASE NOTE: Pets Alive-El Paso is not an animal shelter or rescue organization. If you are trying to find a home for a pet, please visit our Resources page where you will find several tips as well as a list of no-kill shelters and rescue groups which may be able to help you. *To ensure that our replies to your emails are delivered to your inbox, please add info@petsaliveelpaso.org to your contacts or safe senders list. If you have joined our email list, please add Pets_Alive_El_Paso@mail.vresp.com as well.